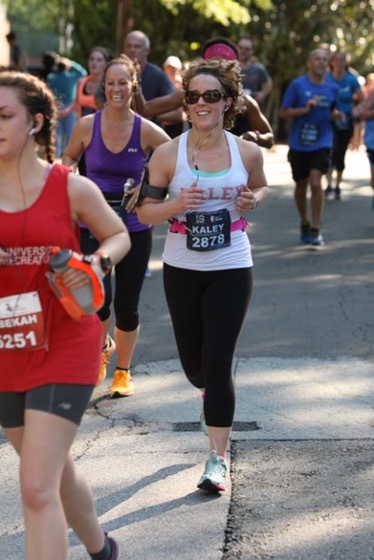 On April 23, I ran my first ten miler. This race was incredibly special to me for multiple reasons. 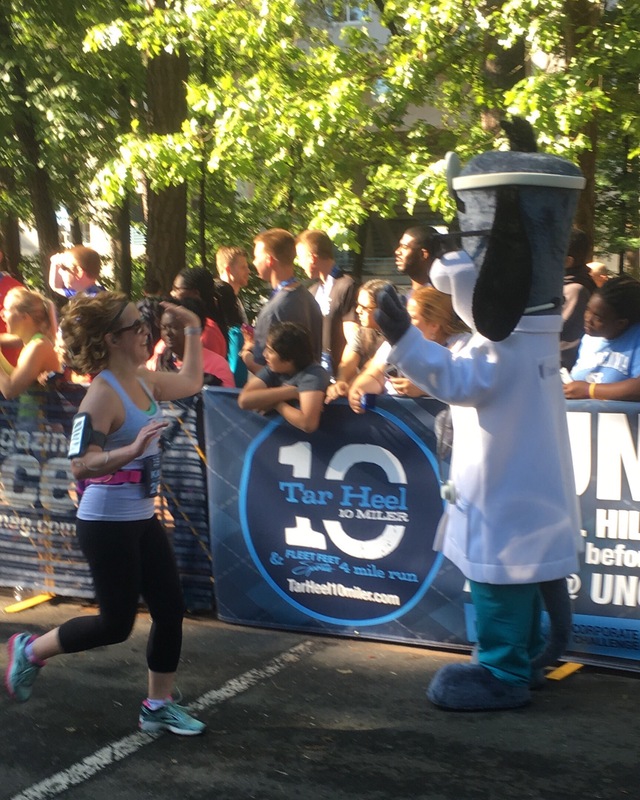 It was the Chapel Hill 10 Miler that benefitted UNC Lineberger, which I wanted to run last year but I couldn’t participate because I was in the midst of receiving chemotherapy there. 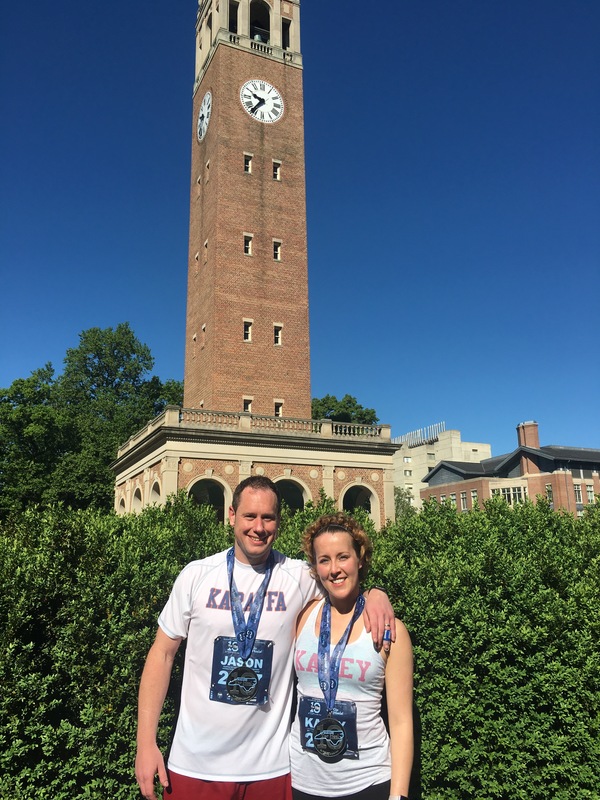 This year, Jason signed up for it, and I was really excited to challenge myself to run farther than I ever had with the person who was with me 368 days prior as I rang the bell signifying the end of chemotherapy. I also was excited to use it to continue to improve my health and strength moving further away from the damage the cancer and chemotherapy did to my body. I trained for 7 weeks (minus a week when I had the flu), and set my goal for 11:00 minute/mile. Through training, I tried striking a balance of running enough so that I would be able to successfully complete the run while listening to my body when it gave me signs that I needed to rest and recover. I ended up logging more miles than were probably necessary, but it helped me be able to stand confidently on the starting line. The race was challenging. The first 5 had more hills than I include in my training, but I settled in and found my pace with the encouragement of Jay-Z, Rihanna, Eminem, and Drake (plus a few boy bands I won’t mention). Mile 6 had a glorious downhill that pushed me to a sub-8 minute mile for that portion and 7 was a pleasant roll through a woodsy neighborhood. Then I hit mile 8… I studied the course and knew miles 8-9 included the Laurel Hill Challenge with a 200 foot vertical climb in 0.8 of a mile. At that point in the race, I was coming off of a good stretch beating my split time and had the mindset of “less than 20 minutes, I’m done!” I also had “Go Hard or Go Home” blasting in my headphones, and felt pumped, although I knew my body was tired. I looked up and saw the flag signaling the start of the Laurel Hill Challenge and couldn’t see the top of the hill. I realized this part of my run was symbolic of my past year and a half since being diagnosed. Although I had done everything I could to prepare, I could not know every detail of the journey or exactly what would happen. I had to push forward in the face of the unknown. I couldn’t stop despite any obstacles or challenges, because I wanted to reach the finish line. I ran the hill until my breath was heavy and heart rate reached a point that I had to walk. I would take a few steps at a slow pace to catch my breath, before mustering untapped strength to run another stint. This continued for 9 minutes and 10 seconds. Then I reached the finish flag of Laurel Hill Challenge, and made it into the final mile. I saw buildings that I recognized from driving to oncology appointments. In this final stretch, I fought tears and am not sure if I was really breathing. All of the emotion of the past year and a half hit me. 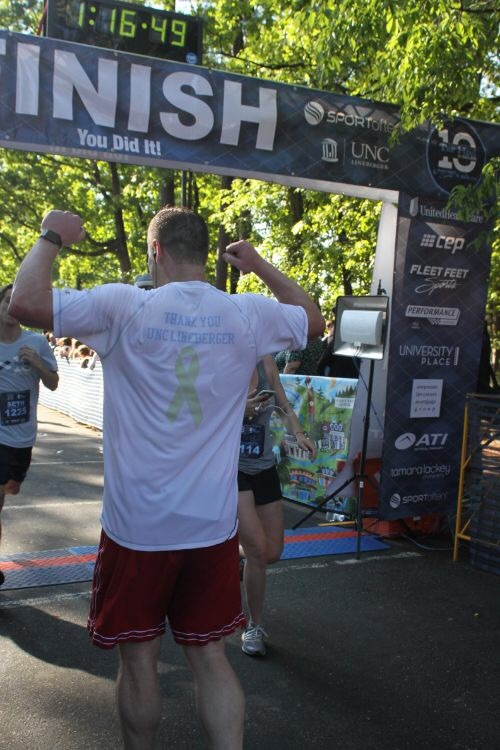 Almost one year after finishing chemotherapy, as I ran for the cancer center that saved me, I finally felt healthy. 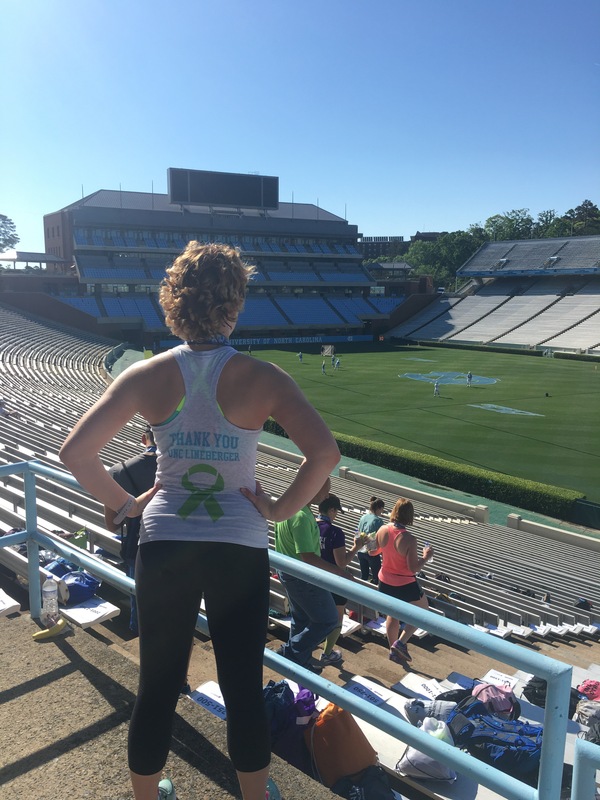 Cancer knocked and slowed me down, but it didn’t stop me. In those last two brutal miles, I realized that pushing forward and being unstoppable was my mindset with facing cancer and running the race and moreover is how I approach life. I finished in 1:36 , beating my goal by about 1:30/mile, which was a great accomplishment, but more importantly I came to understand myself better. You are amazing and I’m proud of you and Jason!